Members of the North Hertfordshire Branch are always out and about representing us. Attending one of our events is a great way to support our work, at the same time as enjoying the event itself! If you have any of this to donate, please just get in touch to arrange collection or drop off and please spread the word to friends, family and colleagues! We are also now welcoming donations of clothing and electrical items for sale in our Cats Protection charity shop in Hitchin. Ideally, they should be taken directly to the shop, however we can arrange collection if necessary. 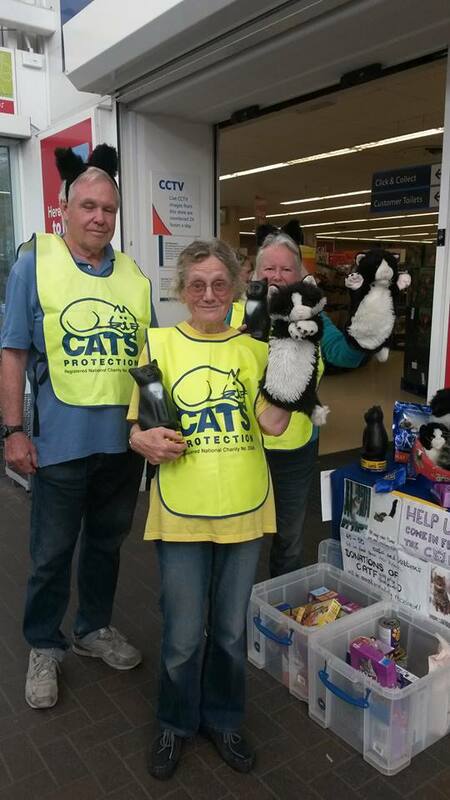 If you have donated to us, the North Herts Cats Protection cats in our care say THANK YOU! Hitchin Coffee mornings will be held on a monthly basis in 2019, in St. Mary's Church House, Church Yard, Hitchin. These are always very popular, so check out the dates below and see if you can pop in and say hello. We also have lots of other events and collections happening in 2019, which are listed below. We'd love to meet you!